If you are on Instagram, Al Tariq (the road) and Al Hayba - Al Aouda (Al Hayda - the return) both are claiming - with numbers (smile) - that they are the most talked about, most popular, most shared programs this Ramadan. 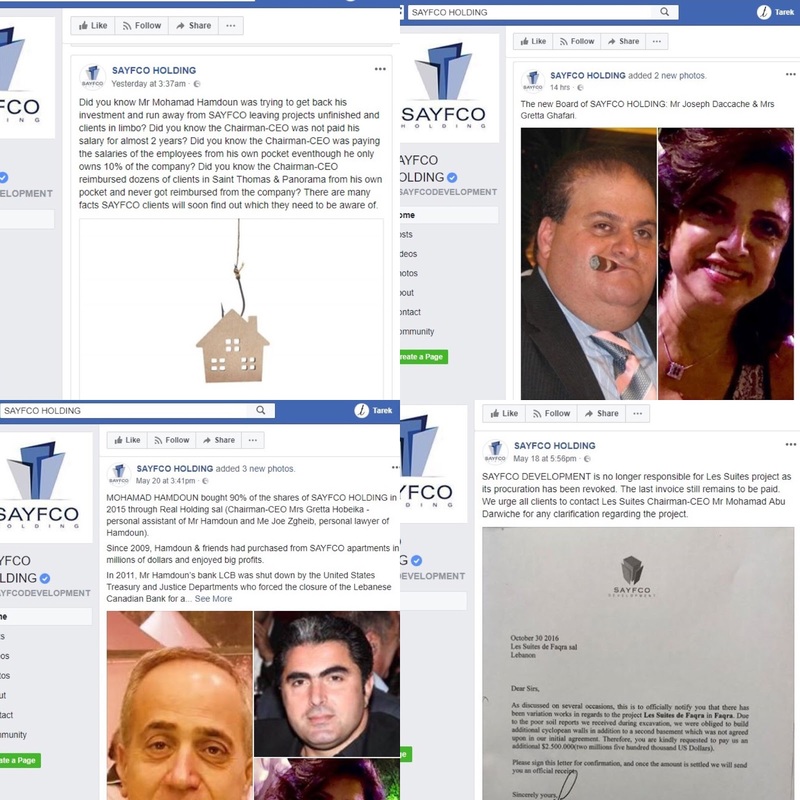 Move over everyone, a new contestant just rose to the top of the list: Sayfco. Yes, the real estate company. Head over to their 3,9 million-strong facebook page and enjoy the flying accusations, the grievances, the talks of embezzlement, the (literally) crimes, but also - among the bad English and the ad-hock imagery, start looking at the word of regular Joes, at the families who have invested money and got loans and tightened their belts to have a piece of those beautifully photoshop-rendered images. Houses, offices, beach bungalows, in sleek effects, assurances for the future now all gone - and I am measuring my words as I am almost copying them from someone who invested there and who left an angry (or perhaps desperate) comment. All of this reads like a classic film or soap opera - the bad, the greedy, the needy, the poor - except let me spoil the last episode for you: I have serious doubts the good guys are going to eventually win, in real life, they seldom do. So to all the people who invested in what appears to be, according to the Sayfco page, some huge scam (their words, not mine), I hope you will get your rights back. Honestly though, I doubt it will happen.